Fall hides in Los Angeles, showing up in small moments. If you are paying attention you’ll feel it in the early morning chill and the dark 4:30s. A smattering of rain cleans the air; a cool breeze pulls in puffy white clouds and a crystal blue sky. The light changes slightly and the sun filters through the window at a lower, less aggressive angle. Mid day is still warm. I revel in cooler moments and bits of color that hint at autumn and the winter to come. I walk by this tree daily and think, I must take a picture. I walk by, yes I will do that, but then all of a sudden, it’s dark. Last Sunday I walked by, focused on to do lists rattling around in my head, arms loaded. But this time I set the pile down and looked up. Light streamed down. The air was perfect and I catch it. The picture on my phone disappointed me. It never comes out the way I see it real time. I shot few more and walked on. Looking at it now, I see the beauty that would not have been remembered. The comparison to the original moment is long gone. I took pictures constantly when my kids were little. I remember getting them developed in an hour (dark ages of image making), anxiously waiting to see them. At the time I thought I was a bit nuts. They were right there. Why the pictures. Why the urgency. I look at them now and my heart sings, so grateful I was crazy, or maybe not so crazy. I have memories I wouldn’t have held on to without the image. Images dominate our world for good reason. They work. Ideas are absorbed readily with images. I think of this as I transcribe words of a presentation to images. It’s the same exercise my brain goes through when I make a chart for students with icons that convey concepts rather than words. To be honest, it is a struggle at times finding images for words. I feel strangely disadvantaged, disassociated from images. Almost debilitated by my world of words. The language we are born with is set aside for the world of words. I’m reminded of the Opal School and their work that uses the visual arts to activate deep thinking in students; the power of wordless picture books; of studying art to learn history and to activate writing; and the many technologies that marry words and images into powerful messages. Images, so easy to digest, stir the heart, activate the mind and preserve memory. I have never been so aware of the need to reacquaint myself with my first language. It’s an adventure and a lot of fun! 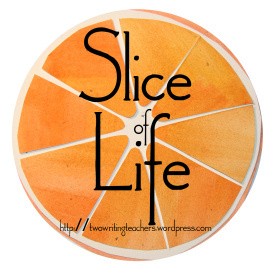 Thank you Anna, Beth, Betsy, Dana, Stacey and Tara for Two Writing Teachers’ Slice of Life. Read more and post your own here. 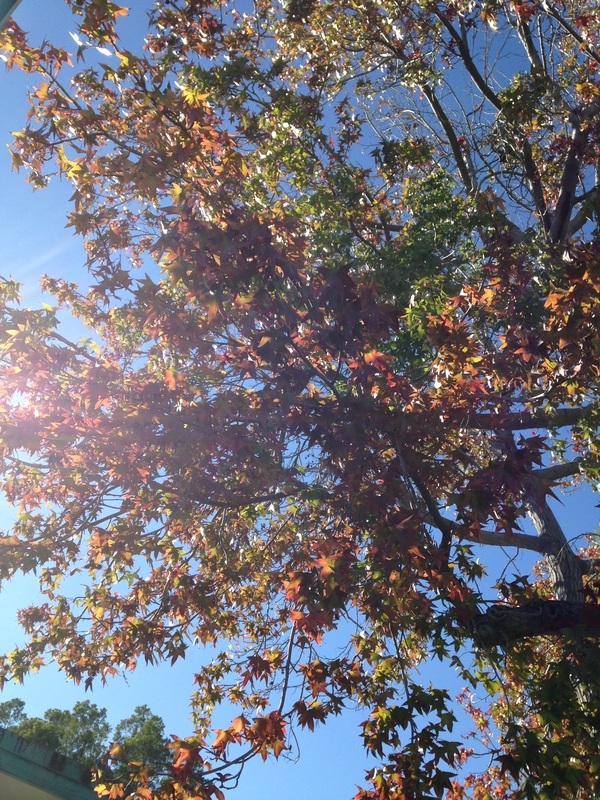 I love your journey to share Fall in LA. It’s much easier on the east coast. Here Fall is everywhere. You merge words and images masterfully. What a lovely post, and how true it is that so many memories would not be if we had not managed to capture an image to keep forever. What a great post. I really enjoyed the way you touched on a variety of images, and places where images come into play. –I could relate to the struggle for finding the right image to go with the words as I have been attempting to create a visual version of a book report format my son’s teacher requires. Pictures are so important! I love the ease we have now to take them…phones, tablets, even computers take pictures. I LOVE having picture documentation of life. It makes me happy. 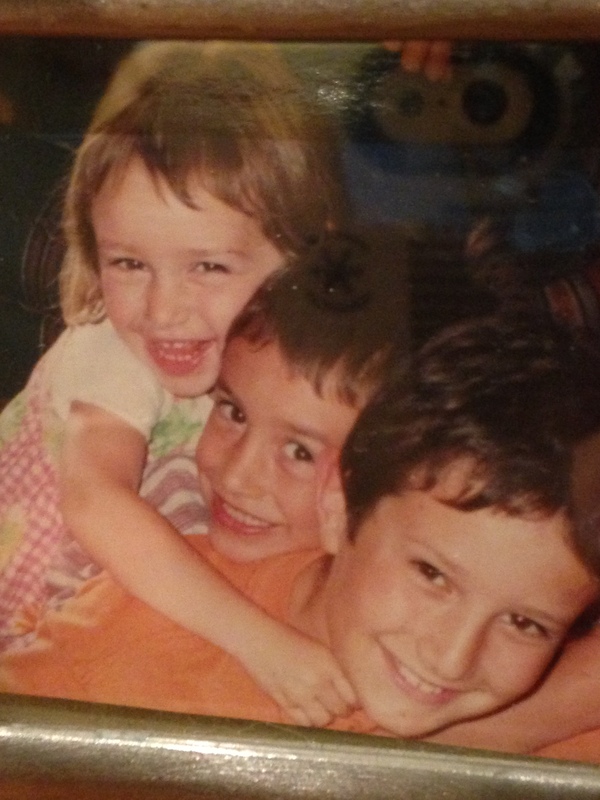 What a precious picture of your children!! Thanks for sharing! What Bonnie said. Also – I felt the same way about all those kid pictures I took – now, I love having all those boxes of photographs to sift through and remember. 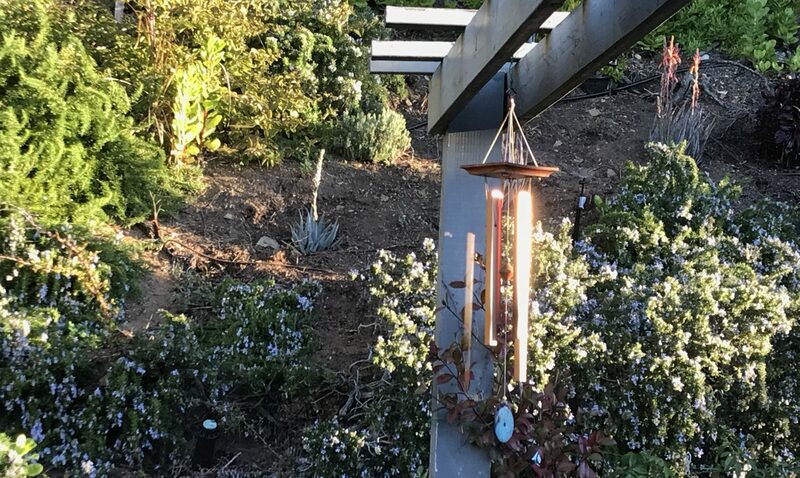 It’s great to connect with pictures/images, Julieanne. I’m glad you took all those pics, too! And thanks for the tree shot-happy you stopped to grab that too. I think looking at images slows us down a bit more, & it helps connect the meaning-love that you create images for your students, & bet it helps. Thanks for sharing all of these connections. Thanks for the reminder that there is so much to “see” in pictures and in words. I was mentally wondering which comes first (proverbial chicken/egg conundrum) with pictures and words. But today I will accept that they are both equally important in their own way! I like how your slice isn’t just about taking a fall picture (this alone would have been beautiful too.) Sometimes words, sometimes images, sometimes both – memories, stories and inspiration in all. Images transport us to places words have never traveled. Aren’t we lucky that if you have a phone, you have the ability to capture an image or even video to preserve the moment. I love the way you described fall in LA. It does hide, but the watchful one will see it. Thank you for sharing these images through your words.